Orders are shipped Monday through Friday only, via United Parcels Service (UPS) or the United States Postal Service (USPS). Only items with a unit weight of less than 1 lb qualify for USPS shipping. When your order is processed, you will receive a shipping confirmation e-mail with the UPS or USPS tracking number. UPS service options are Ground, 2nd Day Air and Next Day Air. UPS Next Day Air and UPS 2nd Day Air orders must be received by 1pm Central Standard Time (CST) to qualify for same day shipping. UPS Next Day Air and UPS 2nd Day Air orders received after 1pm CST will ship on the next business day. Saturday and Sunday are not business days and no UPS orders are delivered on Saturdays or Sundays, nor do these days count towards transit times. For example, a UPS Next Day Air order received before 1pm on Thursday will ship on Thursday and be delivered on Friday but the same order received after 1pm CST Thursday will ship on Friday and be delivered on Monday; the same order received after 1pm CST Friday will ship on Monday and be delivered on Tuesday. UPS Ground orders will be shipped within 2 business days and the delivery time will vary with location. UPS Ground shipments take up to 5 business days so UPS Ground orders will usually be received in 7 business days but may take up to 10 business days from the order date. UPS deliveries may be left at the door of residential addresses. If it is not safe for packages to be left at your door, please contact TransLite before ordering. USPS service options are First Class Mail Large Envelope and Priority Mail Padded Flat Rate Envelope. USPS First Class Mail orders will ship within 2 business days and will be delivered Monday to Saturday, with delivery taking up to one week. Priority Mail Padded Flat Rate Envelope orders will ship within 2 business days and will be delivered Monday to Saturday, with delivery taking 1-3 business days, according to USPS schedules. 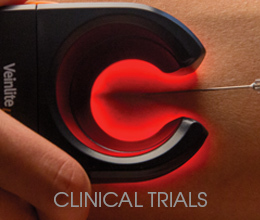 If you are not entirely satisfied with your Veinlite® purchase, we're here to help. You have 30 calendar days to return an item from the date you received it. Please note that all returns must be pre-authorized by TransLite and must be marked with the RMA issued by TransLite to qualify for a refund or replacement. You can also call TransLite at 281.240.3111 and provide the above information to obtain your RMA. 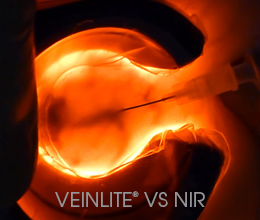 To be eligible for a return, your Veinlite® must be in the same condition that you received it, with all its accessories (excluding disposable plastic covers) and in the original packaging. For reasons of hygiene, disposable plastic covers may not be returned, unless the outer packaging (sealed white envelope) has not been opened. 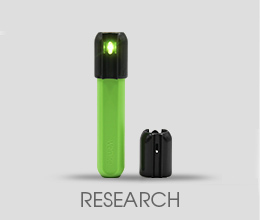 CR2 batteries are not eligible for return. Except in cases of product failure, you will be responsible for paying for your own shipping costs for returning your item. To protect your purchase, your return shipment should be insured and traceable (i.e. 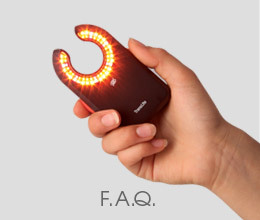 you should obtain a tracking number for the shipment) as. Once we receive your return shipment, we will notify you that we have received your returned item. Your return shipment will be inspected within 2 business days of receipt and we will notify you on the status of your refund after inspecting the item. If your return is approved, we will initiate a refund to your original method of payment. You will usually receive the credit within 7 business days, depending on your card issuer's policies. 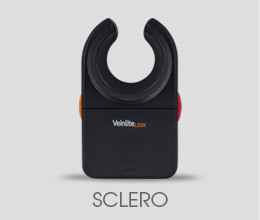 We recommend that you place your order online as this is the most efficient and accurate method of ordering. Online orders are processed via PayPal's secure payment gateway. You do not need a PayPal account to place your order online: orders can be paid via American Express, Discover, Master Card and VISA, in addition to PayPal. Please note that online orders may only be shipped to locations in the USA. 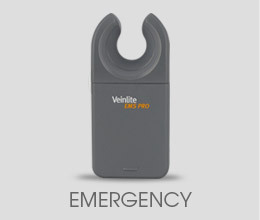 If you want to purchase a Veinlite® to ship to another country, please consult the map on our international page to find a local distributor: http://www.veinlite.com/international. If there is no distributor listed for your country, please contact us via e-mail: [email protected]. We accept purchase orders from hospitals, the US military, US government and US city authorities but not from privately owned clinics or individuals. 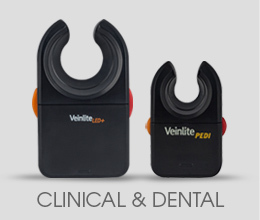 If you are a buyer for a hospital, the US military, US government or a US city authority, please click on this link for information: http://www.veinlite.com/purchasing-agents. Prices for our products and promotions are subject to change without notice. We shall not be liable to you or to any third-party for any modification, price change, suspension or discontinuance of any product or promotion. Please view our Terms of Service for more information. 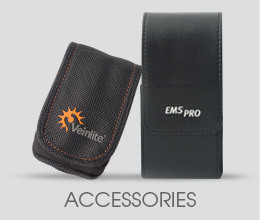 You may view the status of your order by clicking the Order Status link on the home page or via this link: http://www.veinlite.com/sales/guest/form/. If you are unable to find your order online, please e-mail us at [email protected] or call us on 281.240.3111. To update your account information, you will need to log in to our web site using the e-mail address and the password you set up when you registered on our web site and created your account. 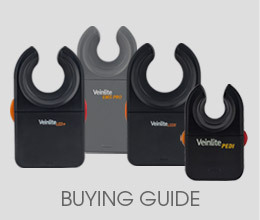 You can click on My Account in the upper left corner of our web site or log in via this link: http://www.veinlite.com/customer/account/login/. If you cannot remember your password, please click on the Forgot Your Password link and enter your e-mail address. Provided the e-mail address you enter corresponds with an existing account, an e-mail will be sent to you with a password reset link. Click on the link in the e-mail to reset your password, then you can log in using your e-mail address and reset password. When you have logged in to your account, you may edit your name, e-mail address, billing and shipping addresses, telephone and fax numbers and newsletter preferences using the links under each section. If you cannot remember which e-mail address you used to set up your account, please send an e-mail to [email protected] with the name you used to set up the account and your last order number and date or invoice number and invoice date. You may also call 281.240.3111 to request assistance. Placing an order does not automatically create a user account; you must register to create an account.